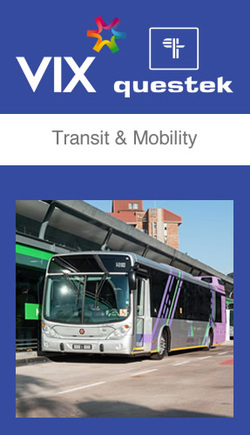 Vix Technology has concluded negotiations with Questek Holdings to acquiring full ownership of Johannesburg-based transit technology company Vix-Questek, South Africa's leading provider of integrated fare revenue and back office systems for the bus industry. ﻿Questek Advanced Technologies﻿ are specialists in the integration, design and installation of innovative state-of-the-art audio visual solutions. Utilising convergence of voice, data and visual technologies, Questek creates the platform to manage and visually present knowledge in increasingly innovative ways. 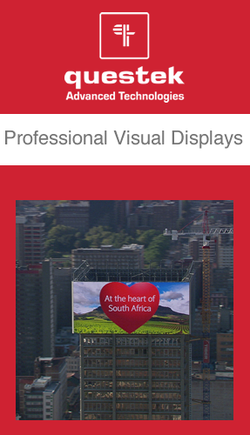 From utility and process control to security and defense, media, sport, events, presentation, edutainment, traffic and surveillance or broadcasting - the power and value of effective visual displays has become business-critical. ﻿Questek Telematics﻿ brings to market an advanced eco-drive system, focusing on fleet efficiency; mechanical and predictive diagnostics; safety and driver technical skills analysis - a first of it's kind in South Africa. 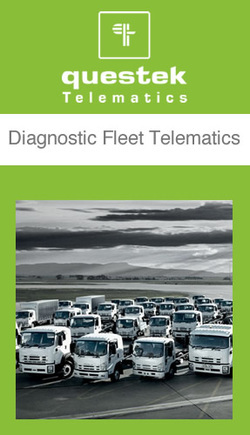 The real time fleet management offers significant savings. Fleet owners on five continents and in 35 countries are benefitting from customised open innovation telematics. Questek Telematics analyses and filters relevant critical data from the vehicle to providing real-time predictive mechanical knowledge. Questek’s proven track record has allowed us to create lasting relationships and value for our customers, business partners and employees and forms the basis for our success.